The play from the pen of Keith Large was also runner up in the best script category. 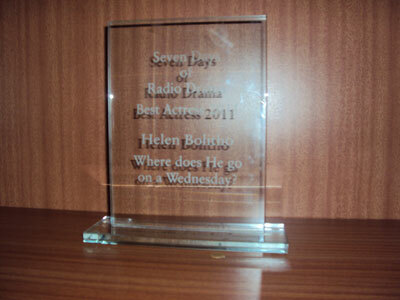 Many congratulations to Helen and fellow cast members Kim Joyce, Huw Bretnall and Jonathan McClean. Along with special thanks to the fantastic Gerry and Paul at The Sound House studios in London. 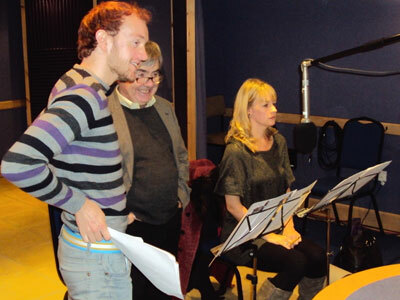 From left to right Jonathan McClean, Kim Joyce and Helen Bolitho at the recording of ‘Where Does He Go On A Wednesday?’ at The Sound House studios in London.